Halloween is right around the corner. 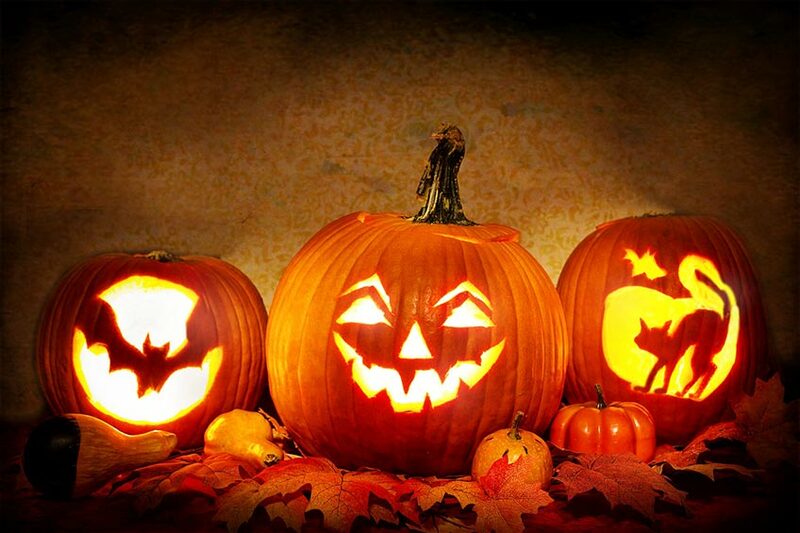 The time has come to celebrate all things spooky: horror movies, campfire stories, and, yes, jack-o-lanterns. If carving one of those bad boys is on your Halloween to-do list, take a look at this comprehensive guide on how to carve a pumpkin for Halloween. Gather your materials. You’re going to need a large pumpkin, a serrated knife, a large metal spoon, two bowls, a marker, a lighter, and a small flameless LED tea light candle. Draw a circle around the top of your pumpkin that includes its stem. This circle will be the pumpkin’s lid, and you want it to be big enough to stick your hand into. (Not much bigger than that.) Cut out the circle, but don’t throw it away, because you will need this for the pumpkin’s lid. Use the metal spoon to reach into the pumpkin and scoop out the seeds and fibers inside. Place the seeds in one bowl and the fibers in another. Roast the seeds! Toss them with a bit of oil and salt before roasting them in your oven. Use the snack to fuel the rest of your carving process. Scrape away some of the pumpkin’s flesh from its sides. You want to remove about one inch of thickness all around. Draw a face on your pumpkin. This typically includes (at least) two eyes and a mouth, but we don’t discriminate against cyclopses. If you don’t want to draw a face — or if you want a specific face — search online for templates to use to trace another design. With a little hunting, you can find a witch riding a broomstick, a pensive cat, or an adorable ghost. Use the knife to carve out the pieces of whatever design you chose. Know that this will take longer than you expect and require additional adjustments. Remember to always cut away from yourself to avoid accidents. Place the flameless LED tea light candle inside the pumpkin. If you choose to use a real candle, make sure the candle is in a glass holder or some other protective device, and do not leave it unattended. We encourage the use of battery or electric candles. If you don’t want to use a candle, another option is to wrap a strand of lights around a glass jar and place it inside the pumpkin. For string lights and other electric candles, carve an additional hole on the bottom of the pumpkin to allow for easy cord access. Carving pumpkins is a messy process. Don’t carve a pumpkin on any surface that you plan to keep clean. We recommend lining your carving space with newspapers or plastic bags.